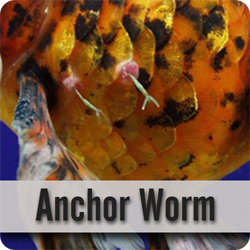 The Trichodina koi parasite is another of the microscopic pests that sometimes attack our pet koi fish. Generally speaking, Trichodina alone will not kill your koi; rather it damages the skin and gills of the fish which can lead to bacterial infections. However, these secondary bacterial infections are notorious for death loss in koi collections. Instead of piercing the skin to locate and feed on blood like so many other parasites, the Trichodina dine on bacteria in the pond water. It uses the koi as merely a place of residence, all the while inflicting damage to the skin and gills of the host as it spins and gyrates continually. The constant revolving motion is extremely irritating and causes damage to the fish’s protective coating, the slime coat. As the slime coat becomes compromised bacterial infections will take hold resulting in sores and ulcers. 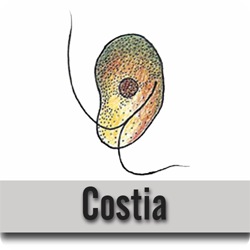 If you are looking through a microscope at an organism that is round with tiny hairs radiating outward from its edge then you’ve discovered an adult Trichodina parasite. It looks very similar to the typical yellow sunshine on children’s artwork. 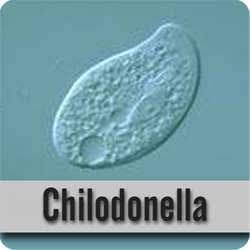 Trichodina is saucer shaped and has tiny cilia, or hairs reaching outward. The cilia enable the parasite to propel its self around. The cilia are also used for suction to the host. Trichodina parasite is in constant motion, continually spinning in a circular pattern. With its constant revolving motion it can travel quickly all over the body of the host. Trichodina fish parasites are able to swim freely from fish to fish, too. Incidentally, Trichodina will also adhere to invertebrates and common amphibians such as frogs and toads. 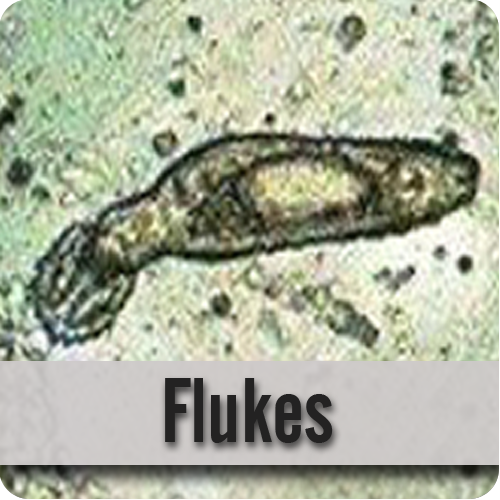 These tiny parasitic organisms can even live in dirt or mulm that accumulates on the pond floor, or in an overly dirty filter. Trichodina parasite on koi is closely associated with poorly maintained filtration systems and poor water quality environments. Trichodina does not dine on your koi fish; instead it feeds on the bacteria in the water. Ponds with high bacterial loads provide abundant food and the ideal environment for Trichodina to flourish. Trichodina parasites have a simple direct life cycle. They reproduce by binary fission, literally cell-splitting. This produces daughter cells that mature in a matter of days, will be free-swimming and eager to attach to a host within 24 hours. What are the symptoms of Trichodina parasite in koi? Fish infected with Trichodina usually 'flash' or scratch in an attempt to brush off the bothersome organisms. Your fish may rub on the pond edges, pond bottom or any other objects in the pond. 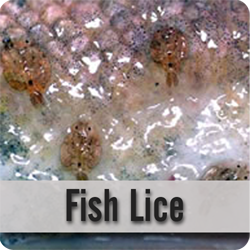 Their skin will become irritated and their scales may loosen, then opportunistic bacteria may set in causing ulcerations. You may also notice superficial white web-like lesions appearing on the body of your fish and its fins may become frayed. 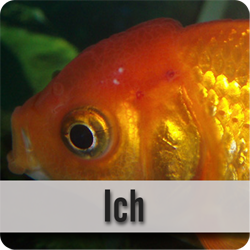 Additionally, a fish’s respiratory function becomes diminished when Trichodina has become established in the gills. The fish will experience labored breathing and congregate under waterfalls or near air-stones where oxygen concentration is the highest.